This note was sent by a former team member from Pet Center #9005 in Cranston, RI. 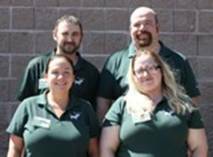 Pat on the back to Tom, Jason and the rest of the leadership team for living by our vision of America’s Favorite Neighborhood Pet Store. It is this type of leadership that creates loyalty, motivation to perform well, and a culture where people want to come to work because they have fun and love what they do! Thank you Pet Supplies Plus for giving me the great opportunity of being a team member within the company. I recently resigned my position at the Pet Supplies Plus in Cranston Rhode Island due to the fact that I am moving. I am relocating to Jamestown TN. I really wish there was a store there that I could transfer to, but unfortunately there is not. Pet Supplies Plus is not just any place to work, it is special. It gives you a different atmosphere than the other leading pet stores. It is a place for animal lovers and neighbors. 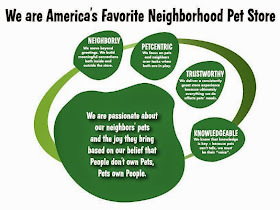 Labeling it America’s favorite neighborhood pet store is not just a slogan but a promise of authentic associates and an unmatchable experience for the customers as well as the team members. I am going to miss all of the team members, managers, and neighbors I have met through Pet Supplies Plus. Tom Brown and Jason Hardy are some of the best leaders and most inspirational people I know. It was a pleasure as well as a privilege to work alongside them. I have learned so many valuable life skills through the experiences in the workplace. I will take the knowledge I have obtained from Pet Supplies Plus and utilize it in the future. The changes I have seen in the company since I started in 2010 are wonderful, and as the company continues to grow I will not forget how I grew with it. I want again to thank Pet Supplies Plus, the corporate office, the managers, other team members, and the neighbors for all the positive experiences I will never forget.